My husband tells me he needs new sneakers. The toe box of his one and only pair has worn a bit thin; the tops of his toes are pushing through. "Oh?" I replied as if surprised to hear this for the first time. "Why don't you just go out and buy a new pair?" This is a conversation we have had for the past six months. It's not that we can't afford new shoes for him. His shoe budget is actually pretty generous. It's because he doesn't want to spend the money...on fashion shoes. Really? 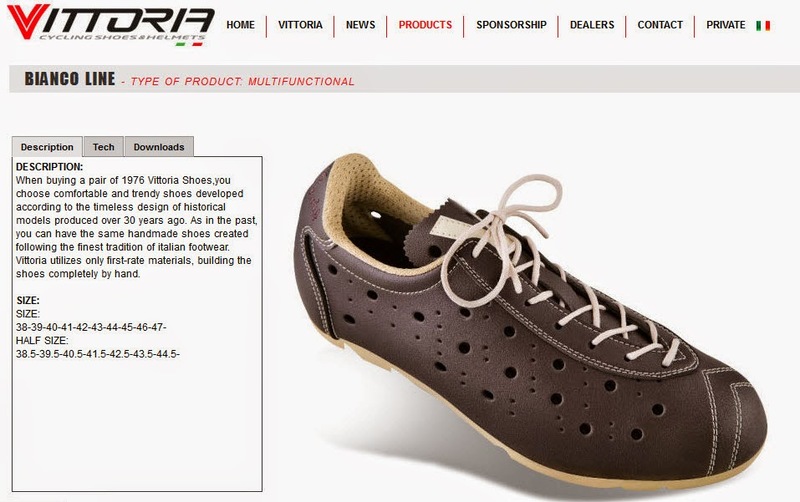 Coming from the "Imelda Marcos of Cycling Shoes" it bewilders me why he won't buy a pair of every-day shoes he needs so badly yet he has had 10 or 30 pairs of cycling shoes over the past few years since he started cycling again. And at any one time, he has at least two to three pairs of shoes for his sport. 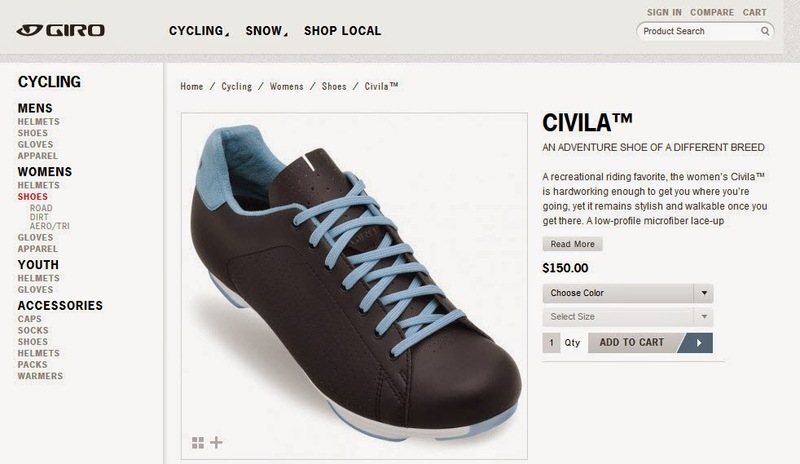 Sidis, Shimanos, Giro, and Bont custom cycling shoes that are $300 to $400 a pair. He has owned three pairs of Bonts at one time. As for me, how many pairs of road cycling shoes do I have? One. I use them when riding my road bike. 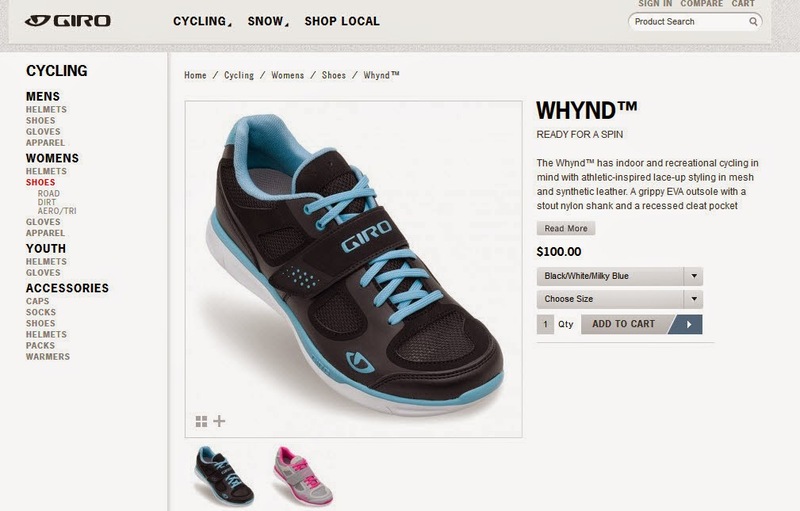 However, I have been thinking of getting women cycling shoes with clip-less pedals, specifically SPD clips (special clips designed by Shimano). Normally, I wear flats or boots - they work fine on the platform pedals of my bike. Even so, my foot has slipped off the pedal at times when I push down or the muscles in my feet become fatigue because the soft soles of my flats do not offer a lot of support. If you are curious to know more about the advantages of clip-less pedals, there are some great articles out there such as "A Beginner's Guide to Clip-Less Pedals." It would be nice to get off the bike and walk about in my cycling shoes without feeling like I am walking around in soccer cleats. However, I also don't want to look like I'm going to run the gym or scale a dirt trail either because most shoes with clip-less pedals still look sporty to me. I want something that is stylish and is appropriate to wear at the office with the semi-professional clothes I normally wear. 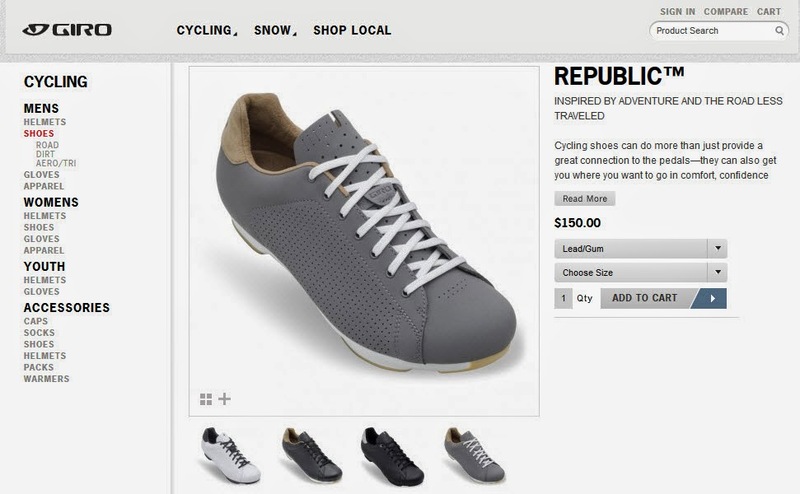 For the men out there looking for urban bike shoes, DZR makes some stylish ones you can wear at the office! 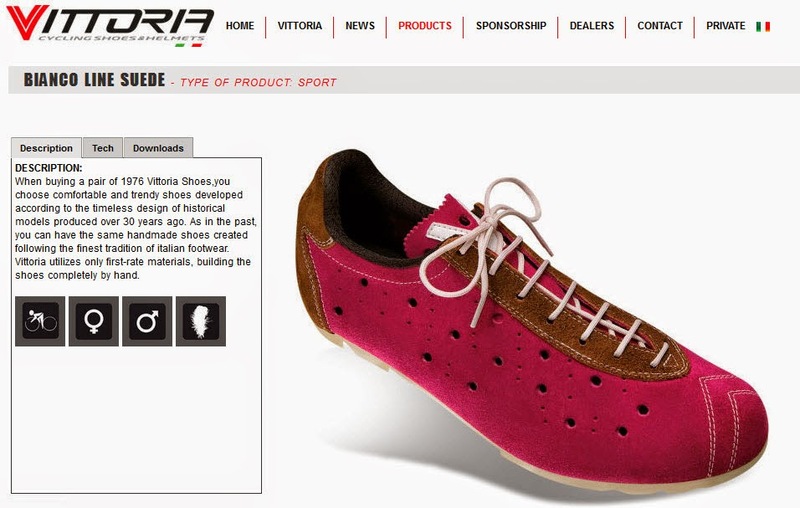 As more and more cycling shoe companies develop urban cycling shoes, it seems I have some options to consider. By the way, it is not necessary to have cycling shoes and certainly does not have to be as expensive as these for bicycle commuting. 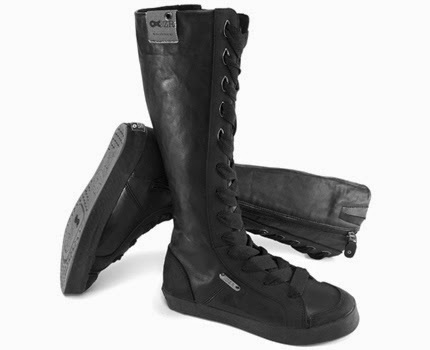 I would actually consider these women specific SPD cycling boot called the "Zurich" by DRZ but at the time, it was out of my price range when I needed regular boots for winter. Since only 50 of them were made by hand, you might get lucky and score one through Terry Bicycles in Fall 2014. 5. Bianco Line Suede I really like this one because of the suede and bright color but not as practical as a pair that is more versatile so this might have to be my second pair. Still, I cannot help but think these shoes would be a better fit with the trousers and jeans worn by men than would be appropriate for women's work wear. They slightly resemble bowling shoes! Meanwhile, my local bike shop and my husband are working on getting a few pairs in my hands to try and see if they are for me. Once I can see for myself, I will definitely post a review. I suppose I am not much different from my husband when it comes plunking down a chunk of change for cycling shoes. After all, I would rather invest in new cycling apparel or a new bike than purchase a designer handbag. These shoes would get more use by me nearly every day during my commute between home and the office than a purse would. It's all about priorities, right?